CONDITION REPORT: Excellent condition overall, the dial is mint and the patina is stunning. The case retains its flat edge on the inner lug (CB), retains its original DO90 bezel and the bracelet matches the condition of the case. 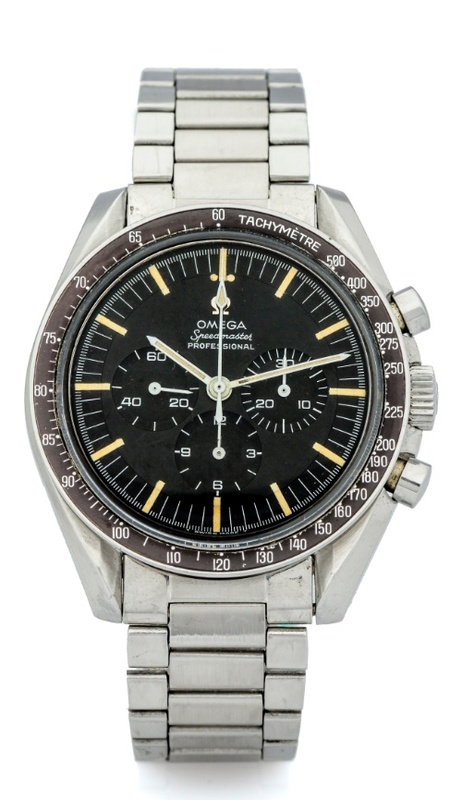 Notes: According to the Omega Museum, this watch was manufactured on March 2, 1967 and subsequently delivered to Italy.